Levoy Exil was born in Fermate far up the mountain above Port-au-Prince on December 7, 1944, or in Soissons-la-Montagne on October 19, 1944, depending on which book you consult. 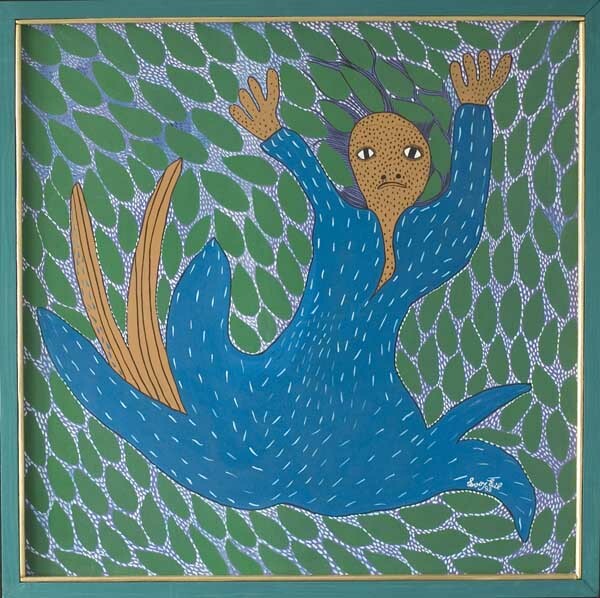 He was one of the original members of Saint Soleil, a community of peasant artists that was organized by the Haitian artist Tiga, and Maude Robart, a writer and painter herself. Saint Soleil was located in the mountains above LaBoule, at Soisson-La- Montagne. It provided the means and encouragement for not only painters, but also poets, writers, craftspeople, singers, dancers, sculptors and musicians to practice their arts. The movement received international attention after the visit in 1975 of Andre Malraux, who was so impressed with the place that he devoted a chapter in his last book, "L'Intemporel", to Saint Soleil. Exil is also one of the five members of "Cinq Soleil", the group of artists that reformed in the late 1980's.